You are here: Home / Septic / Is Liquid Drain Cleaner Safe for Septic Systems? Is Liquid Drain Cleaner Safe for Septic Systems? Liquid Plumber drain cleaner for septic systems, is it safe? Read on to find out how to safely and effectively maintain your septic tank. That’s a magic question from homeowners with septic systems and clogged drains. It’s common since one out of every five homes relies on septic systems instead of public sewers. Its convenience makes it easy to turn to something like Liquid Plumber that often resolves the issue in 20 minutes. But are you causing more harm than good to your home? Let’s take a look at how septic systems work and see if a drain solvent does more harm than good. A septic system is essentially an underground tank near your home or commercial property. The sizes vary, but most hold about 1,000 gallons of water. More homeowners choose septic systems because they’re viewed as more environmentally friendly than the public sewer system. That’s because the public system uses harsh chemicals to treat wastewater. Not only that, sewer systems are difficult to set up in rural areas. If you just built a new home in Omaha, it could cost a pretty penny to connect it to the public sewer system. With a septic system, you don’t have those concerns. The most important thing to know about when you own a septic system is bacteria. There are millions of bacteria floating in your septic tank. While that sounds unpleasant, they play a vital role in treating wastewater. The bacteria feed off of solids at the bottom of your septic tank. That kicks off the process to decompose solid wastes. Your septic tank is really an ecosystem of bacteria. In order to keep your septic system in the best working order, you need to keep the bacteria balanced. If there’s an imbalance, the waste at the bottom builds up fast. You’ll have to get it cleaned out in order to get it functioning properly again. Is a Liquid Drain Cleaner Safe to Use? How does the bacteria in your septic tank become imbalanced? The main culprits are chemicals, bleach, antibacterial cleaners and solvents. With the chemicals and cleaners, you kill the bacteria that feed on the waste in your septic tank. In some cases, even septic tank bacteria packets can upset the balance in your tank. Remember, the tank’s bacteria is a naturally occurring process. You may add more bacteria to the tank, but you could do more harm than good. As to whether a drain cleaner is safe isn’t easily answered. For the most part, drain cleaners add chemicals that can kill bacteria. There are some drain cleaners that are safe for septic systems. Liquid Plumber happens to be one. Because Liquid Plumber’s ingredients degrade quickly, your clog problem is solved without harming the ecosystem of your tank. Liquid Plumber is safe to use on sinks and drains. It isn’t recommended for the dishwasher because of the rubber pipes dishwashers tend to use. Liquid Plumber and almost any other drain cleaner would quickly damage such pipes. Before you turn to something like Liquid Plumber, try a couple homespun remedies that are safe. Boil a pot of water and pour it down the drain. If the drain was caused by soap or grease, the hot water usually loosens things up. Try a concoction of baking soda and vinegar. This is like the volcano experiment kids used to do at school. When you add baking soda to vinegar, it creates a chemical reaction that unclogs drains. Pour two teaspoons of baking soda down the drain. Then pour some vinegar in and watch them fizz. 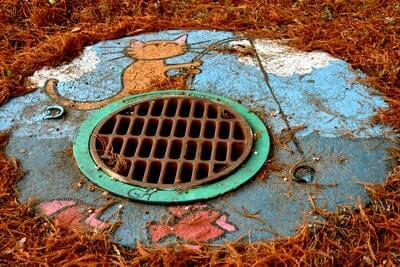 If you have continued issues with a septic drain, leave it to professionals to unclog your drain. A septic system has a lot of conveniences compared to a public sewer system. Over the long run, it could be much less costly, too. The key to keeping those costs low is proper maintenance. You also have to consider what you put into the septic tank. Avoid pouring things like bacon grease or frying oils down the drain. Inspect your septic system annually and have your tank cleaned out by professionals every three to five years. Keep accurate records of the septic tank’s set up. You’ll need to know where the tank is, as well as the network of pipes that lead from the tank to the drain field. You probably know how deep your sewer lines are. It’s important to record that in case you have some backyard work done. That could lead to major and expensive issues if you damage pipes in your septic system. Septic systems aren’t like public sewage systems. They require special attention and care. That’s why you need to be extra careful when you try to unclog a particularly stubborn drain. It’s easy to turn to a drain cleaner, but be extra careful about septic systems. If you need more help solving a septic backup, call us at (402) 731-2727 today!